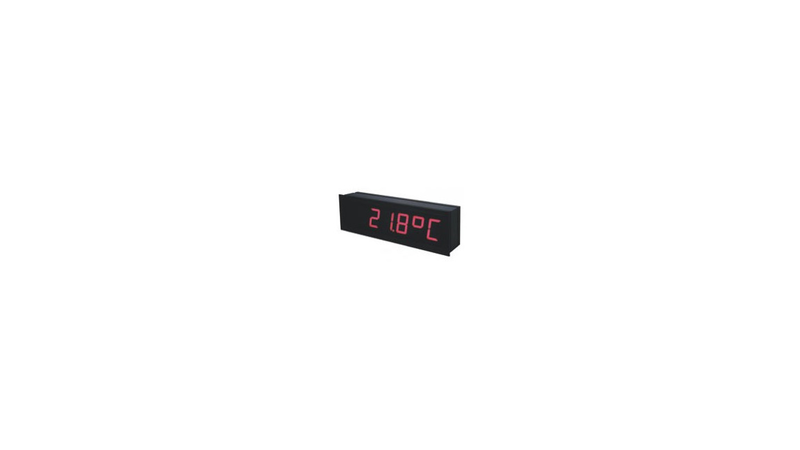 Model OMD 202UNI is either 4 or 6 digit programmable versatile large display cased in a solid aluminium housing. It can be mounted in a panel, as well as on the wall or be suspended. Its IP rating of 64 allows for outdoor use. Power supply is connected through a cable grommet and the instrument is set and controlled by a remote control (included in delivery).